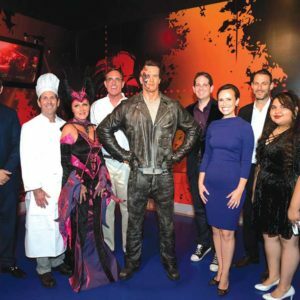 JVSLA hosted its fall fundraiser, An Evening at Madame Tussauds, on Sept. 16. The event was costume-optional, and offered guests themed cuisine, hosted bars and dance from 10 p.m. until midnight with DJ BSTANG. All of the proceeds from the evening will support JVS Programs serving veterans and at risk youth. JVSLA is a nonprofit that assists those dealing with workplace discrimination or suffering in the aftermath of the Great Recession. Since its founding in 1931, the organization has continually adapted and expanded its services to address the evolving needs of the workforce, responding to economic, social and cultural changes with innovative programs and partnerships. By empowering people to become economically independent, it enhances the quality of life for individuals, families and the community.